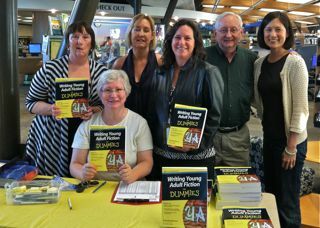 Thank you to the wonderful staff of San Diego County Library Book Festival 2011 — librarians JoAnn Jonas and Rheanna Corirossi, and Yellow Book Road owner Ann — and my good friends Randy Morrison and Heidi Yuen. I had a great time! Wow! That is so very cool Deborah. Congratulations! !